Abstract: Three representative A-type rhyolitic rock samples from the Muráň Nappe of the inferred Silicic Unit of the Inner Western Carpathians (Slovakia) were dated using the high-precision SIMS U–Pb isotope technique on zircons. The geochronological data presented in this paper is the first in-situ isotopic dating of these volcanic rocks. Oscillatory zoned zircon crystals mostly revealed concordant Permian (Guadalupian) ages: 266.6 ± 2.4 Ma in Tisovec-Rejkovo (TIS-1), 263.3 ± 1.9 Ma in Telgárt-Gregová Hill (TEL-1) and 269.5 ± 1.8 Ma in Veľká Stožka-Dudlavka (SD-2) rhyolites. 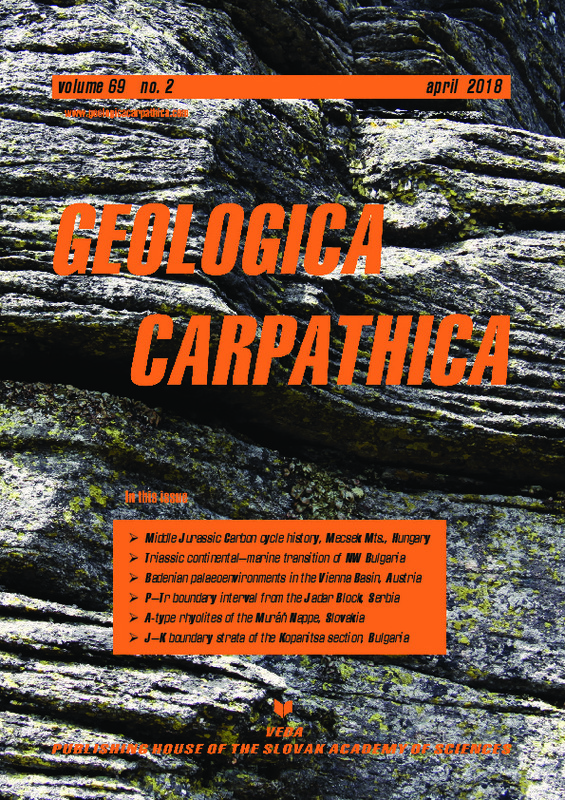 The results indicate that the formation of A-type rhyolites and their plutonic equivalents are connected to magmatic activity during the Permian extensional tectonics and most likely related to the Pangea supercontinent break-up.